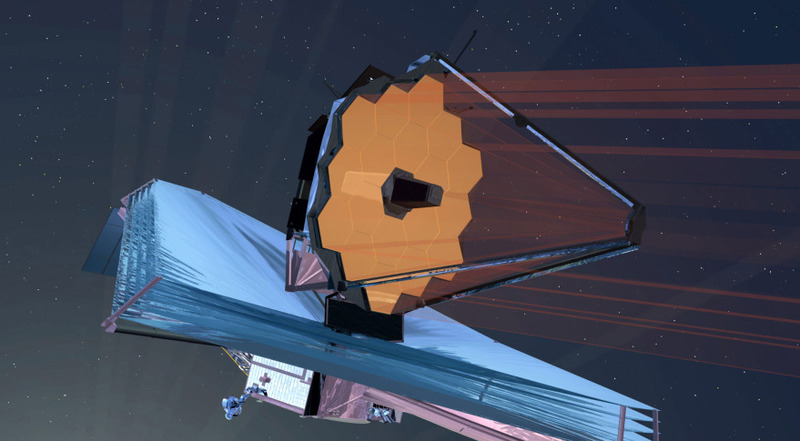 WASHINGTON — The chief executive of Northrop Grumman said July 26 he is willing to make the profit his company earns on the James Webb Space Telescope contingent on the overall success of the mission. In the second half of a two-part hearing by the House Science Committee on the mission’s latest overruns, Wes Bush endorsed an idea discussed by the committee a day earlier to put all the award fees due to the company on its cost-plus contract into an account to be released only after the spacecraft is successfully commissioned in space after launch. “As a mechanism to ensure we are all aligned on mission success, Northrop Grumman has actually discussed this with NASA, and we are willing to place all of the fee that we’ve already earned and the fee that we may earn in the future at risk based on successful activation and demonstration of the telescope on orbit,” he said when asked about the proposal by the committee’s chairman, Rep. Lamar Smith (R-Texas). Smith pressed for more. “Would you agree to pay the 800 [million dollars] above capped costs?” he asked, a reference to the recent overrun above the mission’s $8 billion cost cap. At the end of the hearing, Smith again questioned Bush on issues such as the financial impact the cost overruns have had on Northrop and whether any employees responsible for human errors that led to delays had lost the jobs. “With respect to the mistakes we’re talking about here today, I do not recall any losing their jobs,” Bush said. Smith grew frustrated when Bush repeatedly declined to state the company’s profit last year, offering instead to provide that information for the record to ensure its accuracy. “How could a CEO not know what the profit of his company was last year?” Smith asked. Northrop Grumman reported net earnings of just over $2 billion in 2017, according to the company’s 10-K filing with the U.S. Securities and Exchange Commission in January 2018. Smith’s questioning, though, was largely the exception to the rule in the hearing. Other members seemed less interested in assigning blame than seeking assurances that the problems that caused the latest overrun have been corrected. “I’m not here to berate Northrop Grumman and its associated subcontractors, but rather see what needs to be done to keep this from happening again,” said Rep. Eddie Bernice Johnson (D-Texas), ranking member of the committee, in her opening statement. Bush said the company was taking steps to minimize the possibility of future problems, including a “safety net” to catch human errors early enough to limit their impact. “We’re never going to be able to get human errors to zero. The word ‘human’ in that equation tells you that,” he said. “I feel very, very good about where we are in that regard,” he said of those efforts to limit errors, adding the company has accepted and was implementing the recommendations of an independent review board (IRB) that released its final report a month ago. Tom Young, the chairman of that board, argued at the hearing that NASA should reconvene the board in the near future — perhaps in the latter half of September — to check that the recommendations are being implement. “Our belief is that it should be done. The IRB is willing to do that, and we personally think that it needs to be done early enough in the process that it can have an impact and late enough where things have been done,” he said. While most members appeared satisfied with Northrop Grumman’s efforts to address the JWST overrun, and highlighted the science and inspirational benefits, one congressman was not moved.